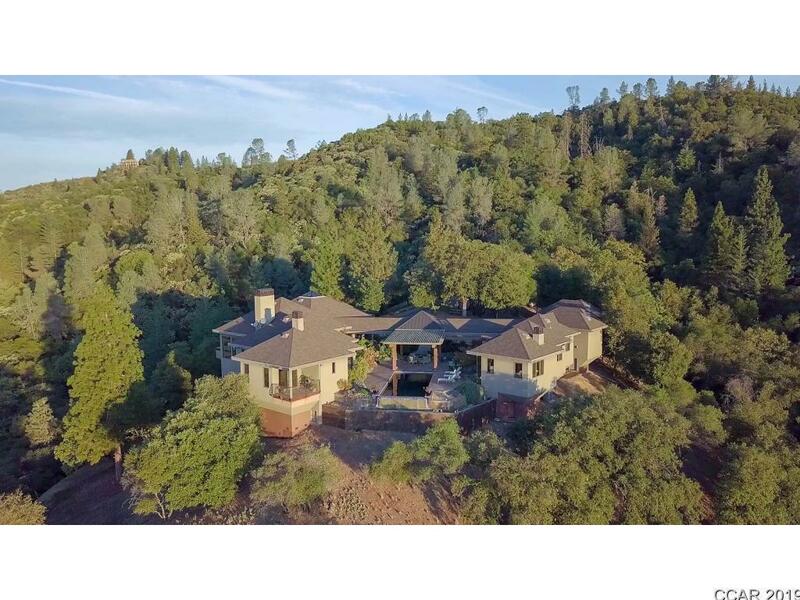 Amazing gated estate property situated on 40 acres offers total privacy with spectacular views, yet only 3 miles to downtown Murphys. Built in 2008 with contemporary high-end finishes throughout. Architecturally beautiful with vaulted ceilings in every room. Beautifully landscaped courtyard with infinity edge pool. Wonderful floorplan with main house plus guest cottages; for a total of 5 bedroom suites plus an office and two powder rooms. The family room has a massive stone fireplace and floor-to-ceiling windows creating walls of glass overlooking miles of hills. The kitchen opens to the family room and is truly the heart of the home with high-end stainless appliances,a large center island, and counter seating for eight.